Halik knows something about mastering time. He may be the living embodiment of the Latin maxim “Carpe diem.” After investing in property and the financial markets to earn himself total financial freedom in his twenties, he’s become a best-selling author and founded several successful financial consulting companies. As an extreme adventurer, he’s also climbed Mount Kilimanjaro, HALO-skydived above Mount Everest’s summit, broken the sound barrier in a MIG-25 jet and deep-sea dived to the shipwrecked Titanic to have lunch. He even became a certified Russian-trained cosmonaut, rocketed to the edge of space and served as a backup for the “Soyuz TMA-13” NASA flight to the International Space Station. 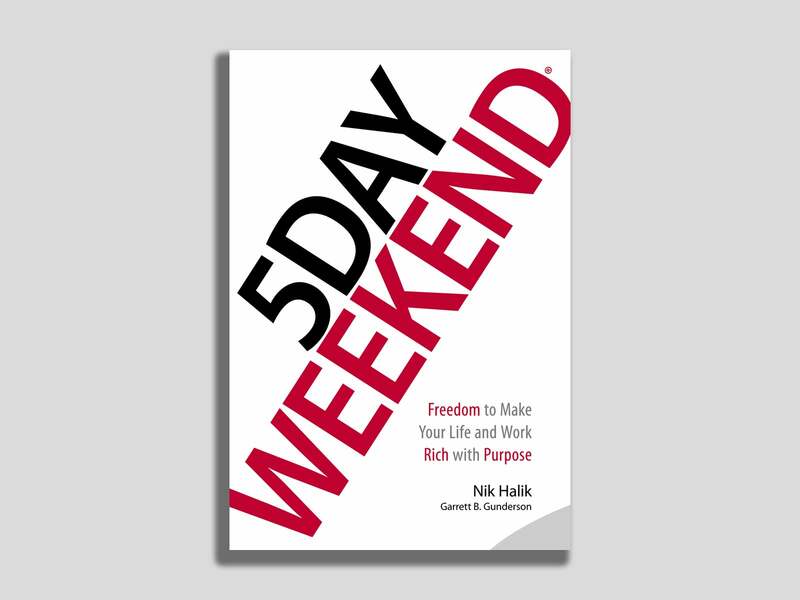 In his new book, “5 Day Weekend,” Halik shares how to live a life rich with purpose, while living a “5-Day Weekend” lifestyle. From an entrepreneur whose companies have impacted more than one million lives in more than 51 countries, here are five fundamental ways to game the grind, multiply your money, and set yourself financially free once and for all. One way to do this is by looking for hidden fees in conventional investments, such as 401Ks and IRAs. For example, if you opt in to receive paperless documents electronically, most IRA custodians will waive all maintenance fees. You can also avoid an advisory fee by using a self-directed IRA, rather than one managed by an advisor. “Many people pay themselves last,” Halik points out. “Pay yourself first.” As a reminder to do this, he used to send himself a monthly invoice. Instead of borrowing money, Halik recommends setting up a properly structured, overfunded whole life insurance contract that builds cash value, and then borrowing against the accumulated funds. Along with the Rockefeller family, this strategy was used by Walt Disney, J. C. Penney, the Rothschild family, JFK, Roosevelt and even John McCain, who secured financing for his 2008 presidential campaign by using his life insurance policy as collateral. “Once your policy has built enough cash value, you can take out a loan against your policy at any time and for any amount up to 90-plus percent of the cash value,” explains Halik. 4. Build seed capital with a side hustle. Once you have a rock-solid financial baseline, accrue more cash with a side hustle. “It’s not about working more hours, it’s about creating another income stream that’s entrepreneurial,” shares Halik. To best analyze income opportunities, he recommends finding the critical intersection of your passion, skills and what customers want. From ecommerce to consulting, there's a breadth of options: Pick one in demand and test it in the marketplace with a small initial investment. If you get traction, double down to make your concept more efficient. 5. Invest in passive income streams. “Investing in high-yield investments like private equity, cryptocurrency or gold and silver speculations is a key part of building wealth, but first, do your research,” cautions Halik, who recommends books, podcasts, and talking to trusted advisors with proven results to discover such opportunities. “5 Day Weekend” is available now. EDITOR'S NOTE: Investing of any type involves risk, and therefore, there is potential for losing money. Before investing, seek advice from a professional financial advisor.